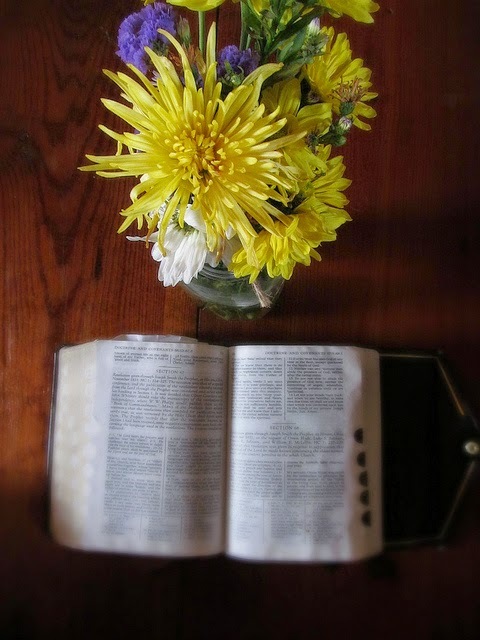 I love seeing scriptures from a different perspective. There are so many layers we can discover when we're willing to shed our preconceptions and open ourselves to completely new interpretations. Below are four examples of well-known stories from the scriptures (three from the Bible and one from the Book of Mormon) that offer opportunities for us to broaden our understanding of what we can learn and how to apply the scriptures to our lives. The story of Uzzah is in the Old Testament (2 Samuel 6 and 1 Chronicles 13). Short version: while Uzzah is transporting the Ark of the Covenant as king David has commanded him, the cattle stumble, the Ark tips, and Uzzah reaches out to steady it. Coming into contact with the holy object was forbidden, and this action angers the Lord so much that He immediately smites Uzzah dead. In Mormon vernacular, the phrase "steadying the ark" has come to mean "those who lack faith in the Lord and His servants and instead do things based on their own wisdom" and is a quick way to dismiss or shut down any conversations about change within the Church that make people feel uncomfortable. Five years ago over at Faith-Promoting Rumor, Secco proposed an alternate reading of the story that flips that generally accepted meaning on its head. 2. Uzzah did what his leaders asked him to do, rather than what the scriptures said he should do, both in moving the ark, and in keeping it from falling. Thus, Uzzah’s core error was following his priesthood/political leaders rather than the scriptures. Read this fascinating explanation and supporting details from the text here. This recent post about Lot's wife (Genesis 19) was eye-opening to me. The author sheds new light on the story of this unnamed woman, pointing out the half-hearted obedience and cowardly self-concern of Lot. She raises the possibility that what drew Lot's wife back to the city was not her material possessions, but instead her children and (possibly) grandchildren whom the angels charged Lot with saving, but remained in the city to be destroyed. Great food for thought here, reclaiming this woman from the scorn and derision in which she's been held for millennia. Chapter divisions in scripture are arbitrary. Someone at some point thought it would be easier to find passages if the narrative was broken up into chapters and verses, but the divisions themselves are not part of scripture. They were added for human convenience. And sometimes, the divisions break up the flow of the stories and sermons, so when you stop reading at the end of the chapter - what we consider a natural breaking point - you miss vital connections. For example, if you read John 13:36-38 and then continue straight on to John 14:1-3, Jesus's prophecy that Peter will deny him three times takes on a completely different feel. Rather than condemnation from Christ, there is a sense of comfort and understanding for Peter. It changes the whole sense of the passage. Finally, I love the story of Abish from the Book of Mormon (Alma 19). This lesson plan uses clues from the text to draw a fascinating picture of this woman, one of the very few named women in the Book of Mormon. I've enjoyed pondering the ambiguous phrasing in Alma 19:16, that Abish had been "converted unto the Lord for many years, on account of a remarkable vision of her father." Many people have understood that to mean that Abish's father had a vision, but I think the text is open to a different interpretation as well. Perhaps Abish is the one who had a vision, and in the vision she saw her father. With all of these stories, and many others in the scriptures, there's really no way to know which way is "the right one," but it's sure interesting to consider the possibilities and find new ways to liken the scriptures unto us.